Diwali season has started, banks has started giving discounts and various offers on various financial products, so we are herewith list of special offers provided by bank on saving bank account, credit card, home loan & car loan. If you are planning to adopt any of these financial products you can prefer this list to get added advantage. We have some banks which provide some interesting services fulfilling your wish list. If you want high interest rate on your saving bank money bank like Yes Bank and Kotak Mahindra Bank give 6.00% and 5.50% respectively on savings accounts with balance less than Rs. 100,000. For balances above Rs. 100,000 the rates are 7% and 6% respectively. Other banks do not match this figure. If you want that your bank should not charge you for not maintaining minimum balance State Bank of India is the bank they have removed minimum balance criteria for saving bank account. Other bank charge penalty if you don’t maintain minimum monthly/quarterly balance specified. When it comes to online banking, Citibank India has a really good internet banking facility. There is multi level security, ease of use, no multiple registrations when it comes to adding new services like trading in mutual funds. For a monthly SIP amount up to Rs. 20,000 in mutual funds there are no charges. Whereas most of other banks with demat facility charge certain amount for Mutual Funds purchase. Here are some credit cards worth taking a look and maybe even having them. The American Express Gold card is high on reward points for customers. You get 1000 points if you use it once a week. You get points on purchase of grocery, fuel, travel and utility bills. At the end of one year of usage of the card, you get additional 5000 points. There are discounts of up to 20% in premium in fine dining restaurants. Citibank Jet Airways Citi Business Credit Card is another interesting card. It is perfect if you are a corporate executive who has to travel frequently. You earn 2 points for every Rs. 100 spent and double the points for tickets booked on Jet Airways. Here are some offers given by bank on home loan this festival season. We doesn’t mean you get attracted and take home loan due to this discount offers, Essence of this post is you must try to get best benefits from financial product you use. This will help you to make more money which is beneficial to you. 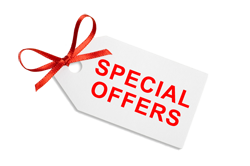 If you know some additional offers from bank which can be beneficial to all do share with us via adding comments.